Here I am, sitting at game 1 of my son’s basketball tournament in King of Prussia, PA when I received a call from my aunt who said “you need to look into starting a blog.” Immediately I thought, ‘A blog?? Me? No way!’ She was now the 3rd person that said this…why are they all ganging up on me…lol. Don’t get me wrong, I had thought about it, but me being me, I pushed the thought to the side and came up with excuse after excuse as to why I couldn’t. Plus, right now I had to focus on my husband, my kids and my career. Right? As we continued the conversation through buzzers sounding and whistles blowing, the more and more I became interested, intrigued and excited. I thought maybe, I’ll add it to my list of things of long term goals I wanted to accomplish, right along with making my own nail polish, joining the 10k IG followers club and going to school to become a licensed nail tech. Once we got off the phone, while I wasn’t 100% onboard with starting a blog, I thought, I’d do some research talk, to a few bloggers I knew and go from there to be fair. Fast forward a few weeks later and here I am. An official nail blogger!!! So here I am world, you can’t stop me now! My nails are and have been my passion for years and I didn’t even know it. Let me give you a little back story to my nails so you get the full picture and have a clear understanding of where passion came from. Let’s rewind 17 years ago, when I was a 16 year girl ‘dying’ to get her nails done, all I could think about was my first full set. $60 later, I was addicted!! Addicted to the sound of the drill, smell of the acrylic, technique and beauty of application, artistry of each hand painted design…EVERYTHING and had to have more of it. I made friends with my techs over the years and they all knew exactly what I liked. At the time, I didn’t know anything about shapes or technical terms but know I know, I’m a die-hard squoval gal through and through and medium-long length because we all know there is nothing worse than breaking a nail. Anyway, I worked at a movie theater then to support my habit…lol, I made my car payment (a 2000 Chevy Cavalier) and to got my nails done. Nails are my drug of choice and I do anything to make sure they looked nothing short of amazing. That was until November 2014 when I decided that I was going natural and soaked off my acrylics. Don’t get me wrong, I had taken my nails off many, many, many times over the years to ‘let them breathe’ but no more than a week would pass and I’d be right back to square one, getting a full set. I’m not sure why I made the decision to go natural, maybe it was because I thought I would save money doing them myself, maybe it was because it became inconvenient to go to the salon with or without an appointment as I got older, regardless, I did and it was the best decision I made. I remember one Saturday in November I took a trip to Five Below to purchase the essentials, because for a girl who had been going to the salon to get full sets and fill-ins, I didn’t own any nail polish, a file, acetone or cotton balls, nothing. I went home that night joined several nail groups on FB, subscribed to tons of nail channels on YouTube and without realizing my profile on IG changed to 99% nails. I am more in love with nails, polish and nail art/designs than ever before. I must say I’ve accomplished a lot and had many successes in a short amount of time. I’ve been able to amass a polish collection of well over 300 bottles including indies and mainstream, swatched collections for some amazing indie brands, hit 3k IG followers, started a FB page and help admin some nail based groups. I’ve even had offers to work in local salons (but not being licensed I respectfully declined but was told to contact them when I’m ready). So what can you expect to see and how often? 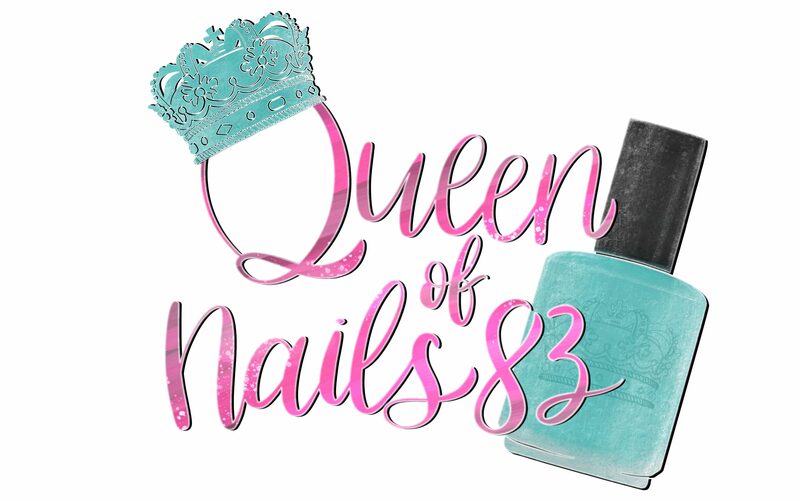 Well, let’s see, nail swatches as I’m challenging myself to full mani swatch each polish I own (of course this is in addition to PR swatches for indie brands), I’ll also be doing some nail art/designs and maybe even some tutorials here and there. My plan is to post at least twice a week, maybe more, I just haven’t decided, all depends on how time consuming this new process is for me. Last thing, I’ll also be hosting a GIVEAWAY soon! I’m thinking maybe a launch giveaway so stay tuned for more details. This blog is interactive so please leave me your questions and comments and I’ll be sure to address them. Thank you for being the push and confirmation I needed. Thanks so much! I’m sure I’ll be reaching out to you for help…lol. So proud of you hun! How are you going to not show off your nails in your first post? 😉 Haha welcome to the wonderful world of a nail blogger! Can’t wait to see what you have in store for us! I was going to start if with nail art but decided against it at the last minute. Trust me, there’s plenty to come. Thanks for stopping by! Congrats on starting your new blog! Welcome to the fold! Welcome to the nail blogging world! I’m so excited to have a new colleague in the blogging world! Congrats on developing your own space to share your thoughts and the things you love with all of us! Congrats!!!! Your gonna do great! Welcome to the nail blogosphere! It’s a wonderful place, we’re gonna have fun!